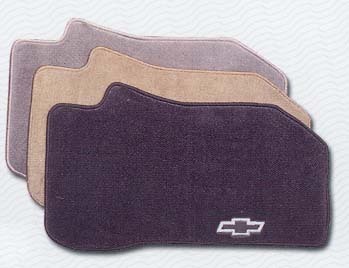 Keep your Chevy S-10 looking like new with these premium carpet floor mats. Custom-designed for the S-10, the fit is ideal and the carpet is color-matched. These durable mats will protect the floor of your Chevy S-10 from elements like mud, water or road salt. Front mats feature the Bowtie logo.